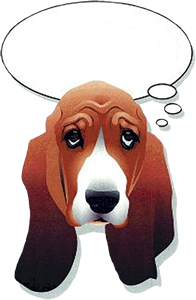 BROOD's partners offer support to help us rescue homeless basset hounds, including direct financial donations and donations of goods and services. Please consider patronizing our business partners because their support is a big part of BROOD. Thank you to our business partners. We can't do it without you! Many of these veterinarians support BROOD with donations or discounted services. These kennels have supported BROOD with donations or discounted services. Shop for pet supplies at our affiliated stores and BROOD gets a donation. Books and photo services by volunteers and supporters. Basset themed businesses run by BROOD members and supporters. Businesses or their employees who support BROOD. These dog related businesses all support BROOD. People and businesses who support our Ramble.